Founded in 2012, Cadance Collective creates an interface where music informs dance and dance informs music. This ensemble treats music composition and dance choreography as common tools in creating original performance pieces. Cadance Collective performed at the Inaugural Milwaukee Fringe Festival in August, 2016, and has been a featured guest artist on several subscription concerts at Danceworks Performance Company. The company has created commissioned work for the South Milwaukee Performing Arts Center and the Battery Factory, the Shorewood Senior Resource Center, and the Cedarburg Cultural Center. Cadance Collective’s work has received favorable reviews from the Milwaukee Journal Sentinel, Milwaukee Magazine and Shepherd Express, and has received global attention in the Epoch Times. Emma Koi maintains an eclectic career as an orchestral, chamber and collaborative flutist. She is an alum of the Civic Orchestra of Chicago, Principal Flute of the Festival City Symphony, Third Flute/Piccolo with the Wisconsin Philharmonic Orchestra, and is a frequent substitute with the Milwaukee Symphony Orchestra. Ms. Koi has worked under the batons of conductors Edo de Waart, Charles Dutoit, Michael Tilson Thomas, Jaap van Sweden and Ricardo Muti, and has performed with soloists Yo-Yo Ma, Jennifer Koh, and Alisa Weilerstien, among others. An active chamber musician and collaborative flutist, Ms. Koi is an alum of the Leonard Sorkin Institute of Chamber Music and the Bowdoin Institute of Chamber Music in Brunswick, Maine. She has performed locally with Present Music, Milwaukee Musaik, Frankly Music, Access Contemporary Music for Doors Open Milwaukee, and on many recital projects with Milwaukee area chamber musicians. 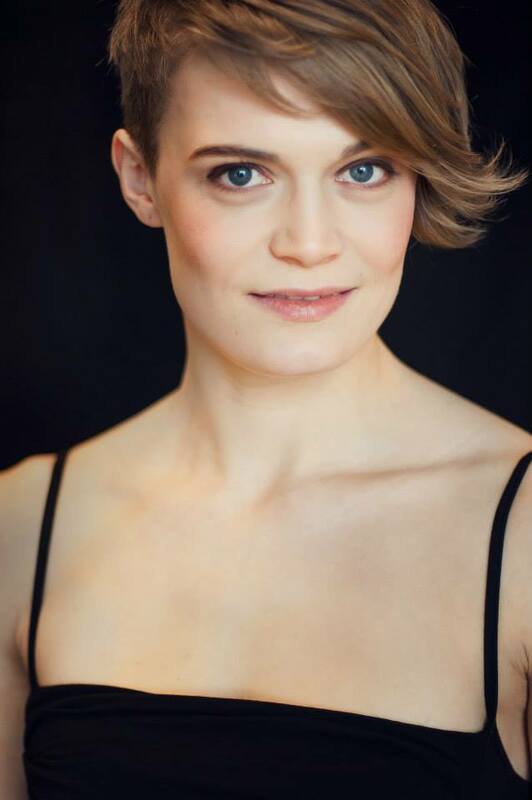 She enjoys a regular schedule of collaborative projects, and has worked with Danceworks Performance Company, Wild Space Dance Company and in collaboration with Chicago Symphony Orchestra Composer-in-Residence Anna Clyne. A multi-faceted artist with a passion for interdisciplinary collaboration, Emma Koi is the founder of Cadance Collective, a Milwaukee-based ensemble of musicians and dancers, treating choreography and composition as equal tools in creating new work for the stage. In demand as a teacher and clinician, Ms. Koi has served as a coach for youth band and orchestra programs throughout the country and was on the faculty at the 2nd Annual Festival of Youth Orchestras and Choirs in Buenos Aires, Argentina in 2011. She is currently a faculty member at the Wisconsin Conservatory of Music, and an interim faculty member at Carroll University. She holds a Master of Music in Flute Performance from Carnegie Mellon University and degrees in music (BA) and dance (BFA) from the University of Wisconsin-Milwaukee. Alicia Storin began playing cello at the age of 10 with the public school music program in her hometown of Mequon, Wisconsin. Throughout middle school and high school she studied with Greg Matthews, of the Milwaukee Symphony Orchestra. Alicia went on to study cello performance at the University of Minnesota-Twin Cities, where she received a Bachelor's Degree in Music, under professor Tanya Remenikova. In 2007, Alicia earned her Master's Degree in cello performance from the Cleveland Institute of Music, where she studied with Stephen Geber. She recently completed a chamber music program at the University of Wisconsin-Milwaukee, earning a performance certificate as part of the Leonard Sorkin International Institute of Chamber Music. During this time she studied with Dr. Stefan Kartman, and also worked closely with Dr. Bernard Zinck and members of the Arianna String Quartet. In 2013, Alicia, along with violinist Megan Buschkopf, won the UWM concerto competition with the Brahms Double Concerto. Alicia seeks out collaborative opportunities and loves working with artists of different mediums. One of Alicia's favorite collaborations was the production of An Iliad, presented by both the Milwaukee Repertory Theater and American Players Theatre. Alicia had the role of the Muse, only speaking through her cello, opposite James DeVita as the Poet. She also performed in Windfall Theater's production of Identita, highlighting folk songs and contemporary pieces from Slovenia. Alicia teaches at the Waukesha String Académie and the Milwaukee Youth Symphony Orchestra, and also maintains a small, private studio out of her home in Bay View. Christal Wagner has her Bachelor of Fine Arts in Dance from the University of Wisconsin Milwaukee. Professionally she gained her start with Milwaukee based company Your Mother Dances in 2006, spending 4 seasons with the company dancing locally and abroad at the Minnesota Fringe Festival. While with YMD, she performed in works by David Parker including his theatrical work Nut Cracked, Heinz Poll performing his famous Bolero, and numerous works by the Artistic Director, Elizabeth Johnson. She currently performs with Danceworks Performance Company and is in her seventh season with DPC. While with DPC She has performed work by Sean Curran (NY), Emma Draves (Chicago), Amii Legendre (NY), Janet Lilly (Bill T. Jones/Arnie Zane), and Simone Ferro (UWM Chair). Her featured work includes solo performance in DPC's Maria de Buenos Aires (2011), Solo Performance in MFA Graduates Amii LeGendre and Carrey Foster's Museum of Narrow Places (2011) and a featured performance in Present Music’s Around 30 Concert (2012), celebrating milwaukee artists around the age of 30. Currently she choreographs for Danceworks Performance Company, Cadance Collective, and Community Theatre Works, working with anywhere from 85-100 kids and professionals each summer on full length musicals put to stage in as little as 4 weeks. In film, Christal has worked performed for Milwaukee director, Tate Bunker in his independent film, Studies in Space, which premiered at the 2012 Milwaukee Film Festival. Christal also choreographed and performed for the 2013 Dance Your Ph.D film competition in collaboration with engineer, Dr. Tim Hunter.